12. Wild Eggs at 804 Campbell Lane #100 in Bowling Green. 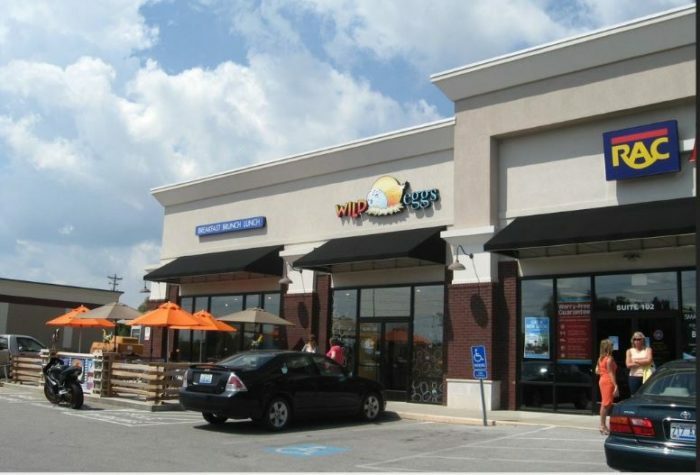 This is a chain restaurant, but readers seem to really love the Wild Eggs at all locations in Kentucky. Even when service is slow, people will wait for the amazing eggs and breakfast combinations. They have a very full menu, covering just about any appetite. This is definitely a chain that stands out when it comes to breakfast and brunch. 11. 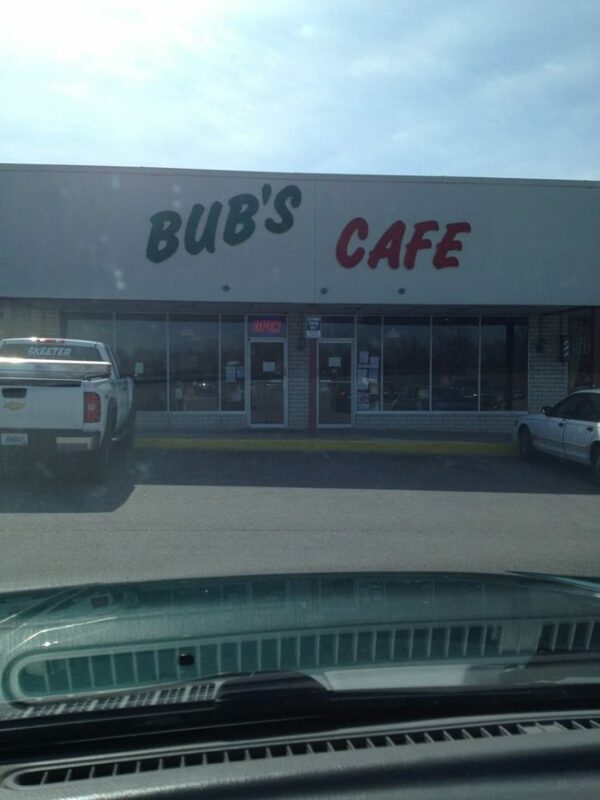 Bub’s Café at 611 W Poplar Avenue in Elizabethtown. 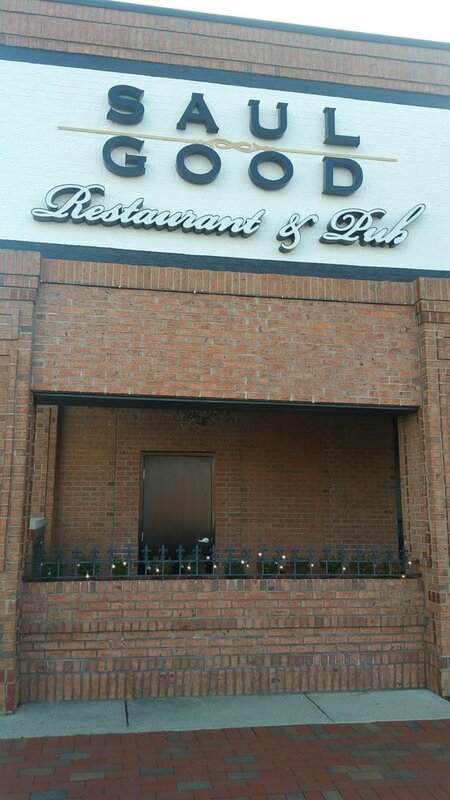 Bub’s doesn’t look like much on the outside, but inside the kitchen is cooking up some of the best grub in town. This is your traditional southern cuisine with delights like eggs how you want them, biscuits and gravy and fresh fried potatoes, seasoned just right. The servings are so generous you will be asking for a to-go box and having a snack later. 10. 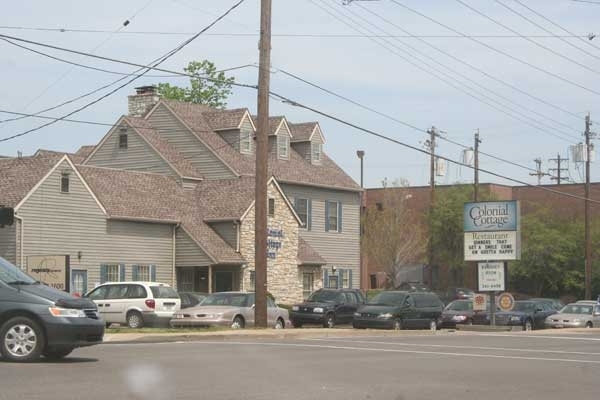 Colonial Cottage at 3140 Dixie Highway in Erlanger. 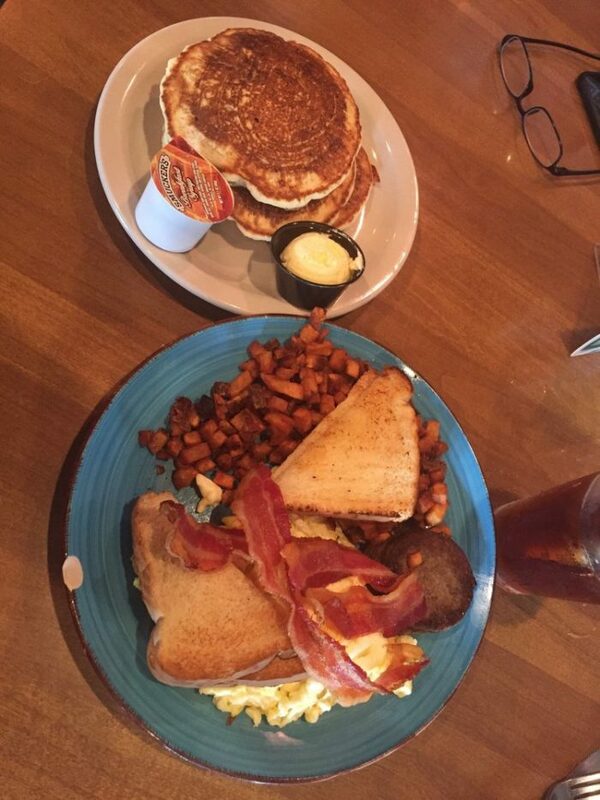 The big breakfast works well with 2 eggs, choice of meat and steak fries but the Bluegrass breakfast has even more to it. The biscuits and gravy are hearty and filling as well. 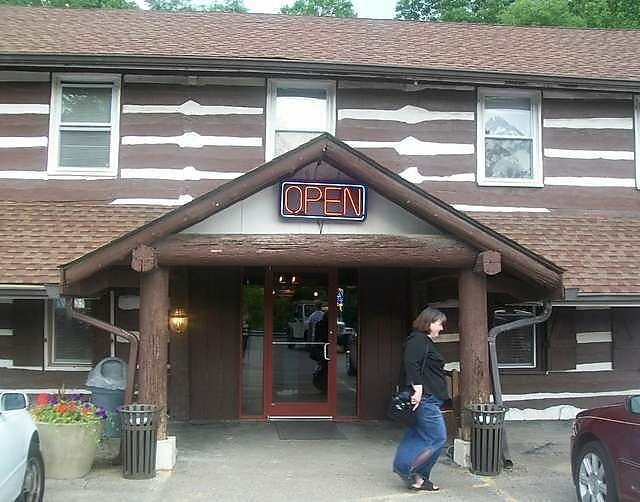 If you are a fan of Goetta, the Colonial Cottage is the go-to place. It is said they have the best in town, though I’ve never had it. 9. 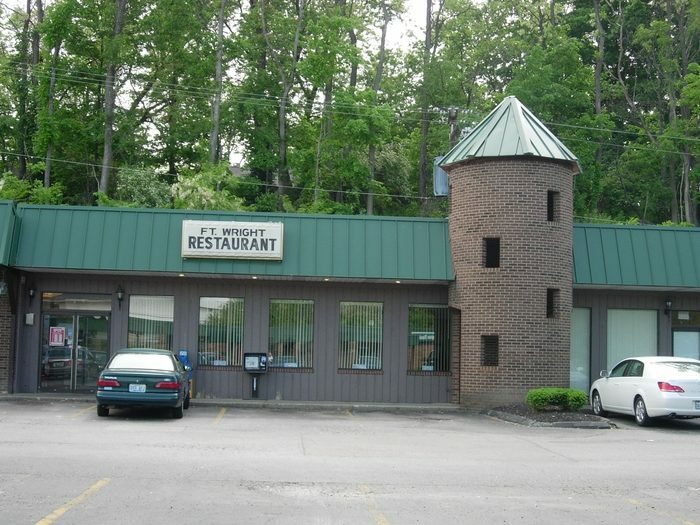 Fort Wright Family Restaurant at 1860 Ashwood Circle in Fort Wright. 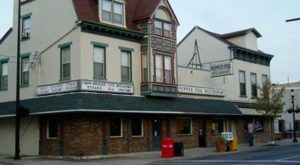 This is a family owned and operated restaurant with friendly, smiling service and mouthwatering food. 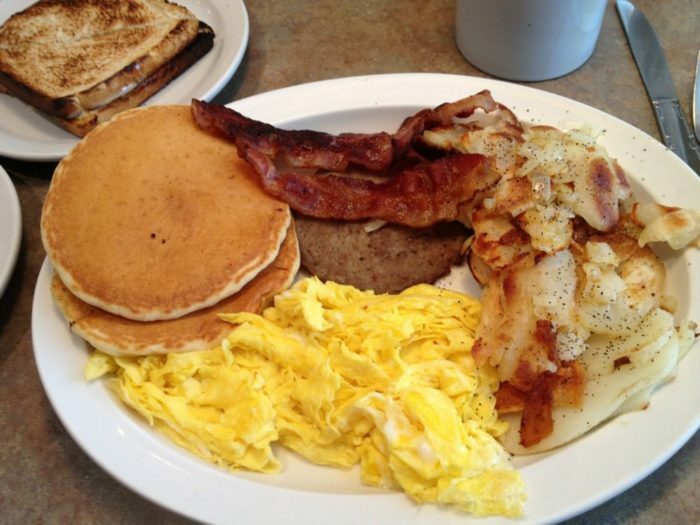 One breakfast special is only $7 and comes with 2 eggs, home fries, bacon, sausage, goetta and a choice of bread. The portions are incredibly generous and to-go boxes are not uncommon. 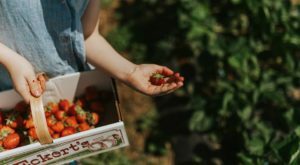 This is a place that treats customers like family and keeps them coming back for more. 8. Lexington Diner at 124 N Upper Street in Lexington. Every breakfast is special at this diner. They have things like Butterfinger French Toast, caprese omelet, garden omelet, chorizo, cheese grits and glazed apples like Grandma made. 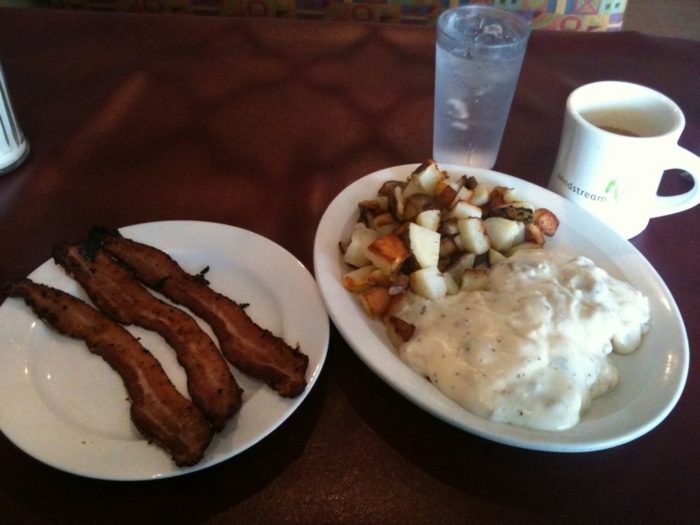 Their biscuits and gravy is flavorful and the biscuits are always fresh. 7. Log Cabin Inn at 322 Madison Pike in Covington. This is a vintage cabin off the beaten path that serves up southern style cuisine in generous portions. 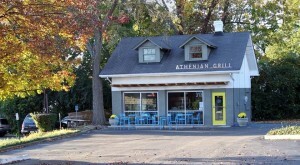 It offers a simple setting with southern ambiance and the food is everything you dream southern food should be. Tender meats, eggs cooked to order, rich, creamy gravy with nice chunks of sausage and fluffy buttermilk biscuits all just waiting for you to put in the order. Everything is served up piping hot with just the right amount of salt and pepper. 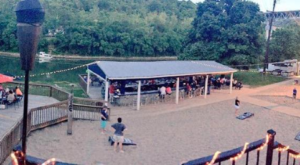 The place is well worth the drive. 6. 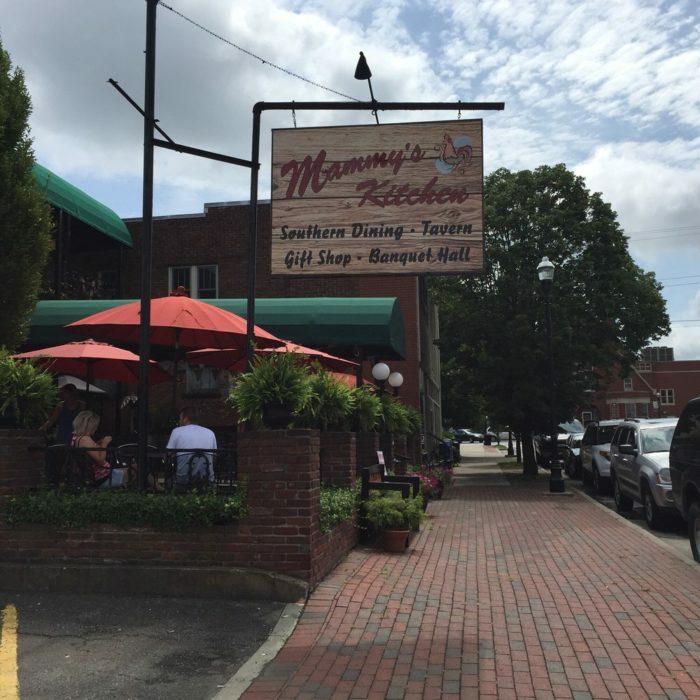 Mammy’s Kitchen at 116 W Stephen Foster Avenue in Bardstown. 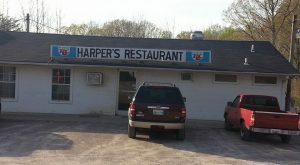 This is where the local ole’ timers come for breakfast… and that says a lot. There are so many good things getting cooked up in the kitchen it can be hard to make up your mind. 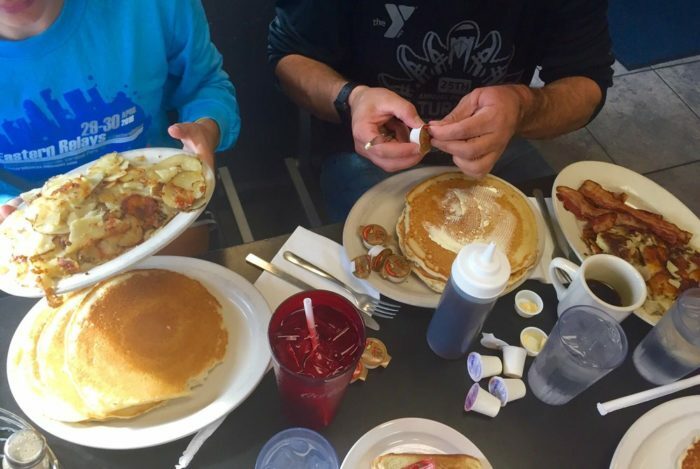 The hotcakes are the size of the plates, biscuits are tender and flaky, and the sausage gravy has HUGE chunks of meat. 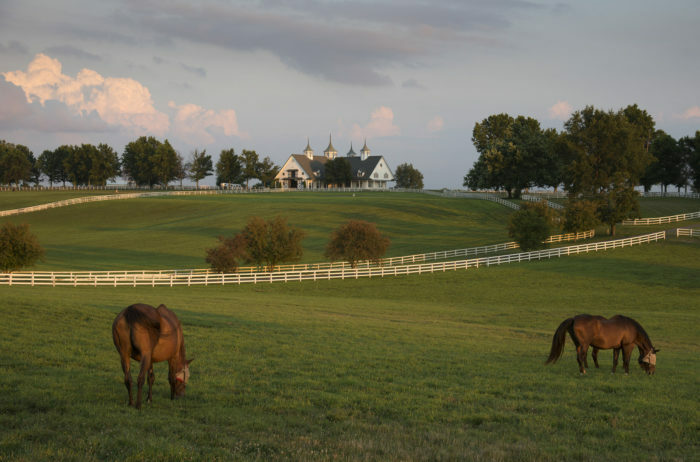 They say Mammy’s use to be an old stable that was remodeled, so the atmosphere is homey and inviting. The food is absolutely mouthwatering, with very generous portions. You will want to make a stop in here for brunch. 5. 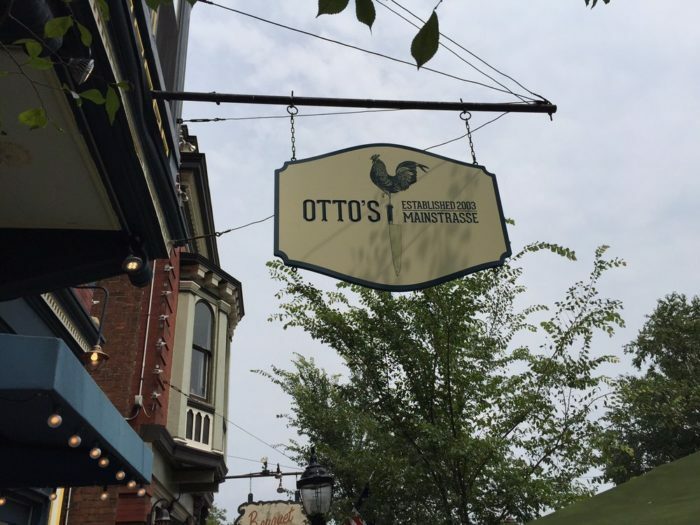 Otto’s at 521 Main Street in Covington. The first thing you notice is the friendly service, interesting décor and fragrant interior. Each table has unusual salt and pepper shakers, like cats, or a dog and doghouse. If you were not hungry going in, you will be. 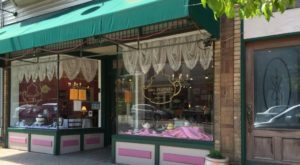 They offer unique options like crab hash, lemon buttermilk pancakes, eggs benedict on a grit cake and more. Everything is cooked to perfection and just makes you eagerly anticipate your next visit so you can try something else. 4. Paradise Point Market Place at 10300 New Glasgow Road in Scottsville. 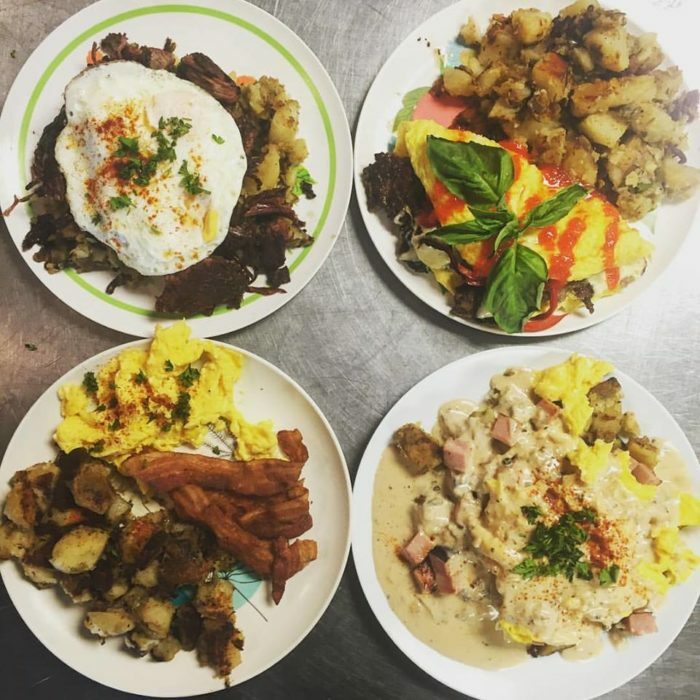 This little place has a little bit of everything, and the best breakfast/brunch in the area. 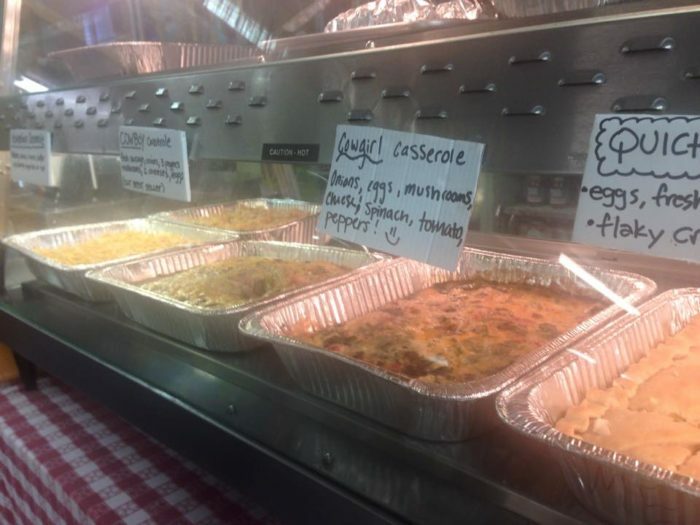 The Cowboy and Cowgirl Casseroles are highly recommended, but you can’t go wrong with anything on the menu. 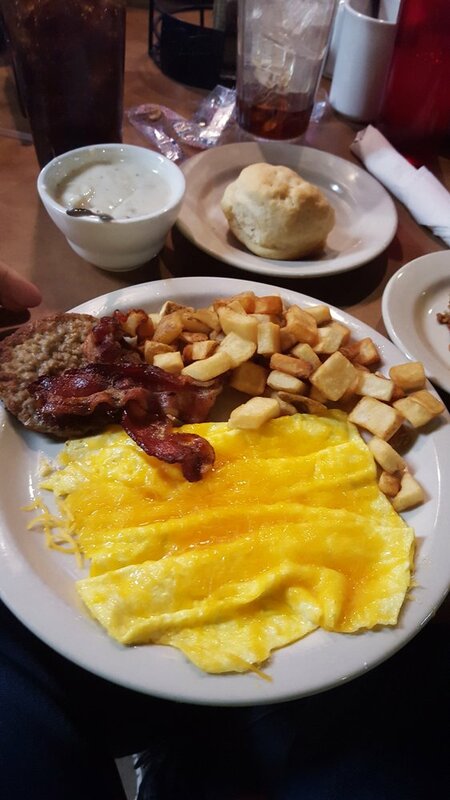 Eggs, sausage, biscuits, hash browns and gravy that will stick to your ribs is served up hot and fresh. 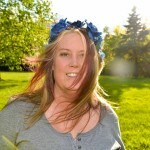 The owners are friendly and have plenty of stories to tell and things to see. 3. 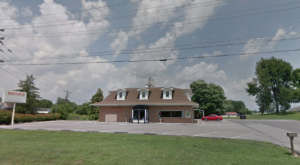 Ramsey’s Diner at 4391 Old Harrodsburg Road in Lexington. 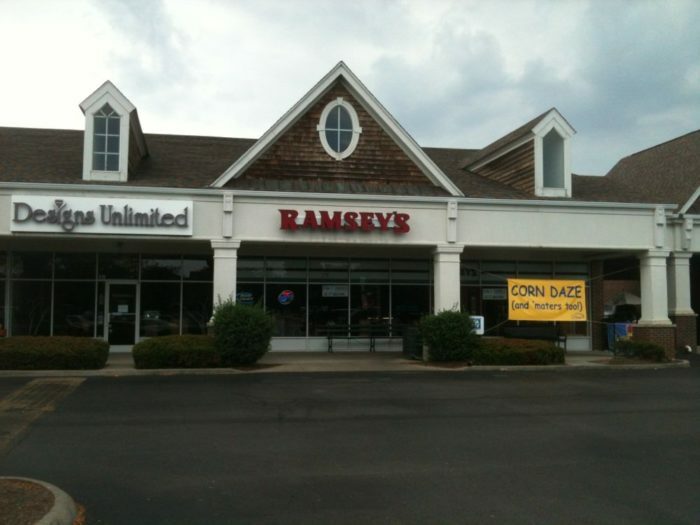 Ramsey’s offers good, old fashioned southern comfort food for breakfast, lunch or dinner. 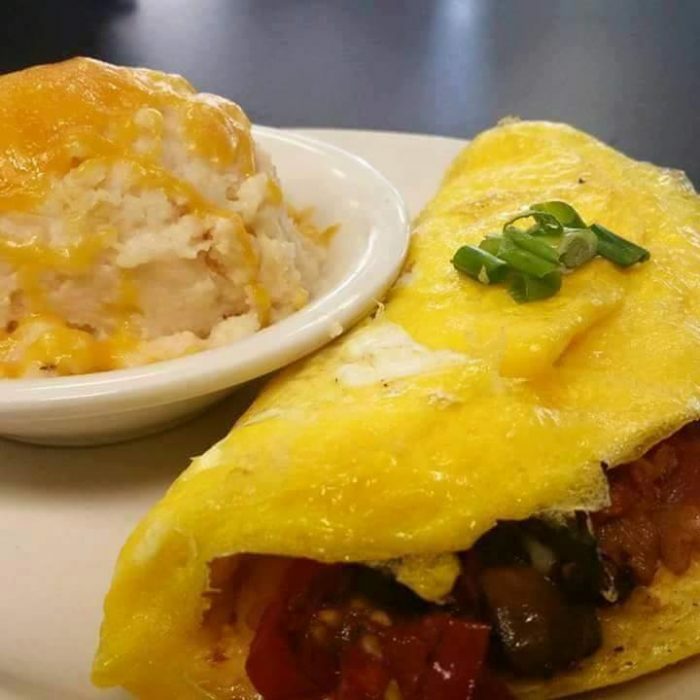 The eggs will be cooked to order, and the Kentucky Hot Brown is a favorite for breakfast as well. Some people say it is better than the original. Pancakes are always a good choice as well. They make them fluffy and flavorful. 2. Saul Good Pub and Diner at 123 N Broadway in Lexington. 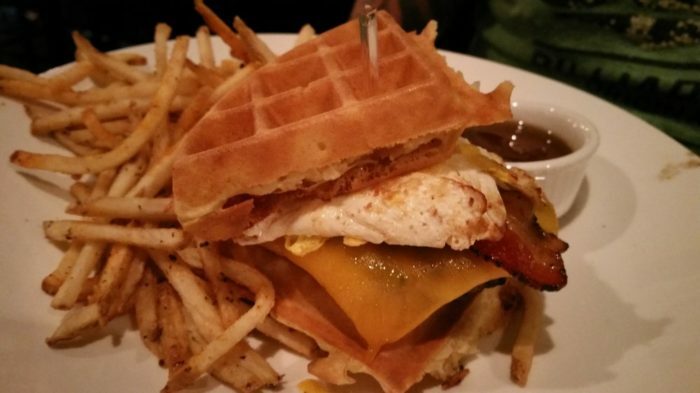 This is the place to go for chicken and waffles or a hot breakfast burger. They use a waffle instead of bread and it makes for an awesome flavor. The breakfast sampler is a great way to go, or their unique Hot Brown Pizza. 1. Lydia House on 1101 Lydia Street in Louisville. Lydia’s serves amazing combinations like their spicy bread pudding with bacon and sour cream. 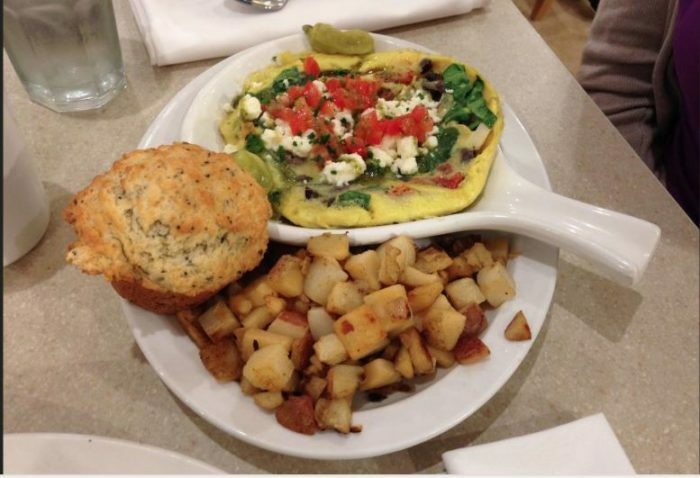 The omelets offer unique combinations, like goat cheese with mango and the flavors are well worth trying. 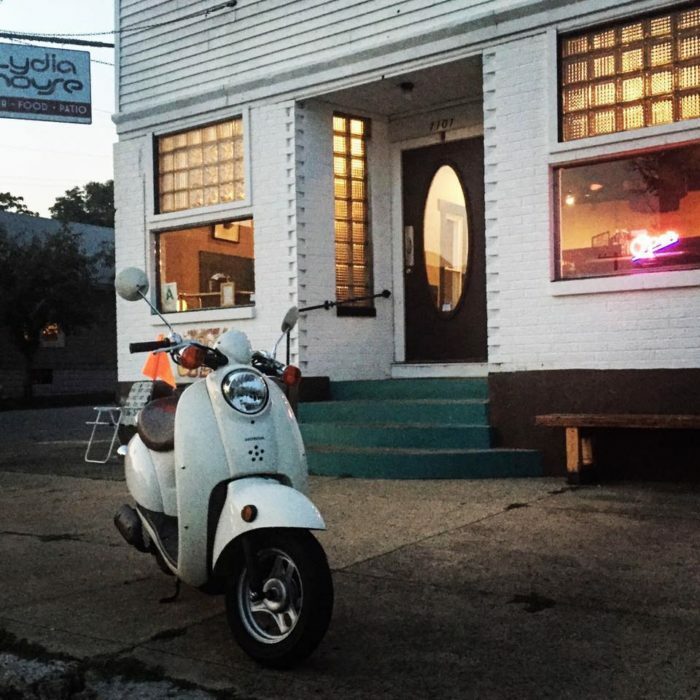 No matter what you get on the menu, you will find yourself craving Lydia’s time and time again. This is a place that puts the You in Unique breakfasts. 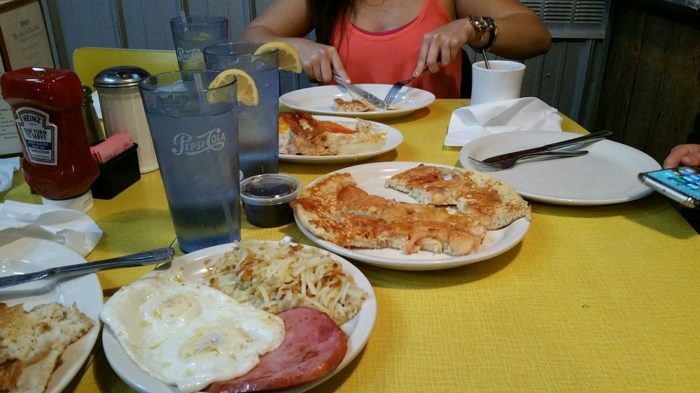 We love breakfast foods and cherish the restaurants and diners that serve it throughout the day. 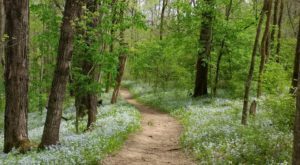 No matter where you go, there is a restaurant serving some of the best brunch in Kentucky somewhere nearby. These are just a few of the many I know exist. 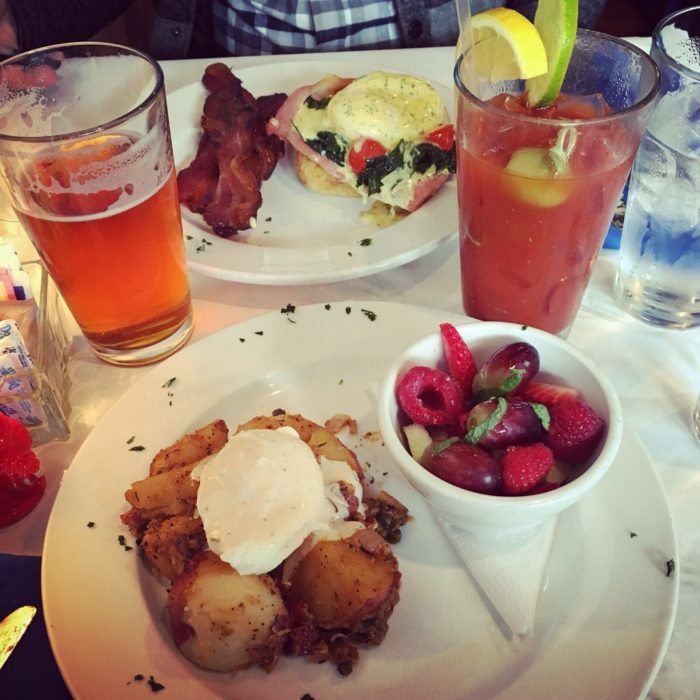 What is your favorite place to get brunch in the state?